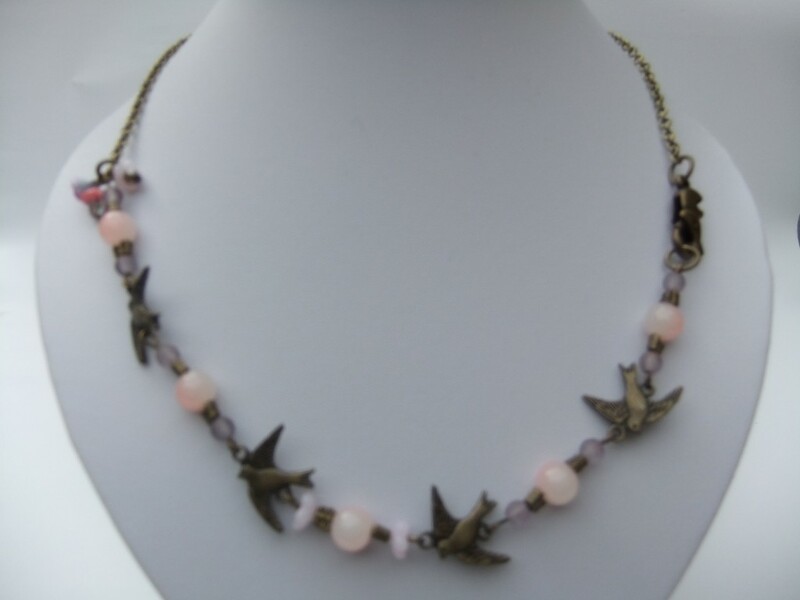 Four sweet flying birds, with matt lilac and blush pink glass beads. A posy of flowers sits to one side, while a cute elephant clasp is on the other. Length approx 20 inches.